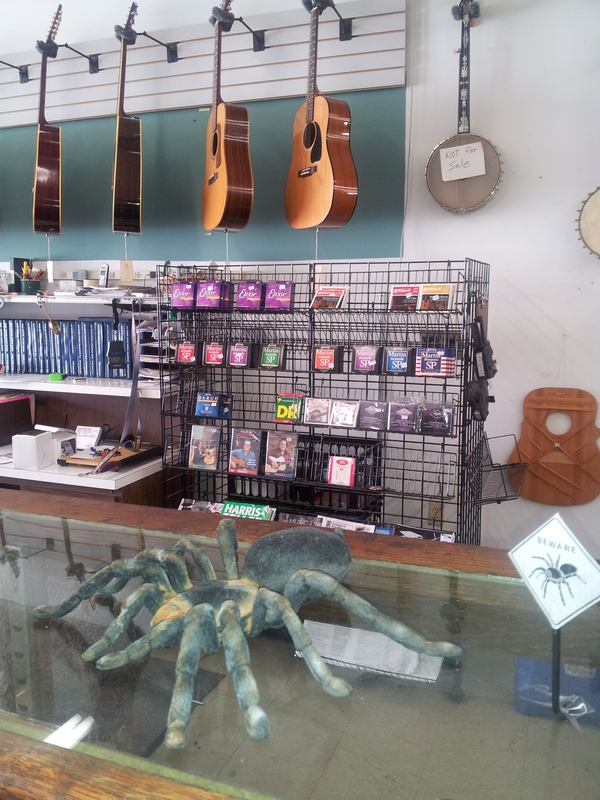 Banjos and Bugs: The Story of Zepp Country Music, Inc.
Whatever I expected upon driving into the little country town of Wendell, N.C., to visit a shop specializing in banjos, this was not it. Entering a nondescript store marked “Zepp Country Music” on the main drag of Wendell, I found myself surrounded by banjos. Lots of banjos. 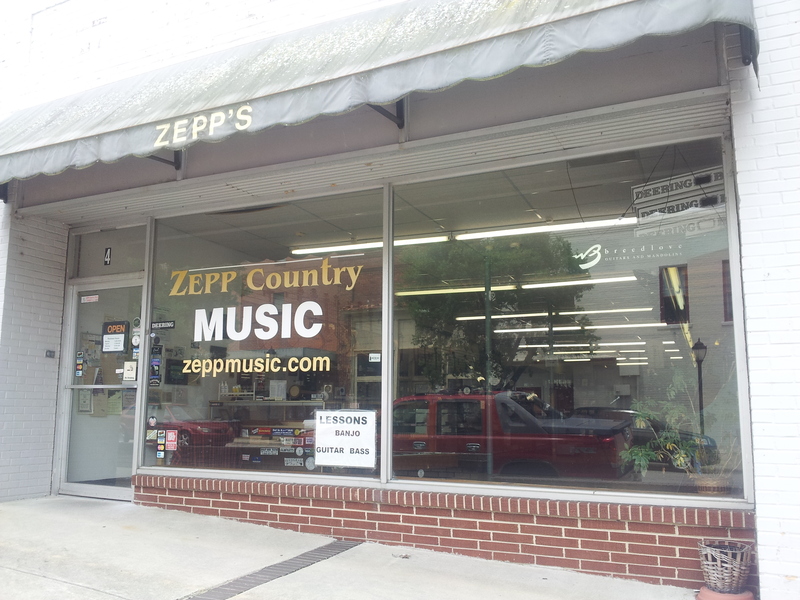 Zepp Country Music, Inc. is a banjo shop, sure. But it’s not just any banjo shop. 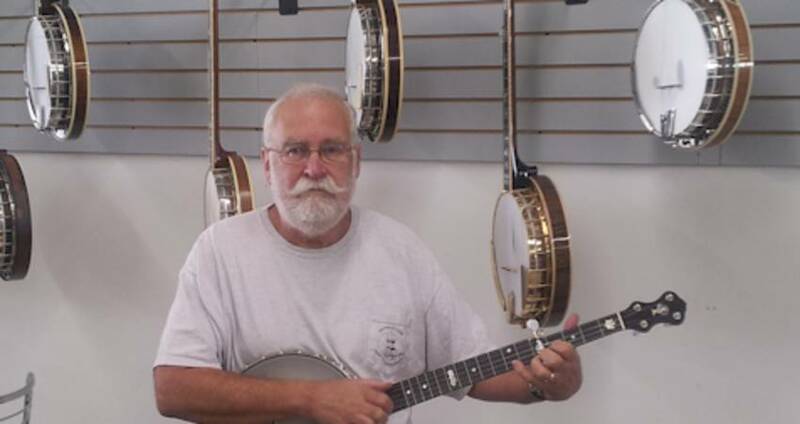 Zepp Country Music, Inc., is the banjo shop, one of just a handful of businesses in the world that truly specialize in banjos. I stared in awe. I’d never seen so many banjos. 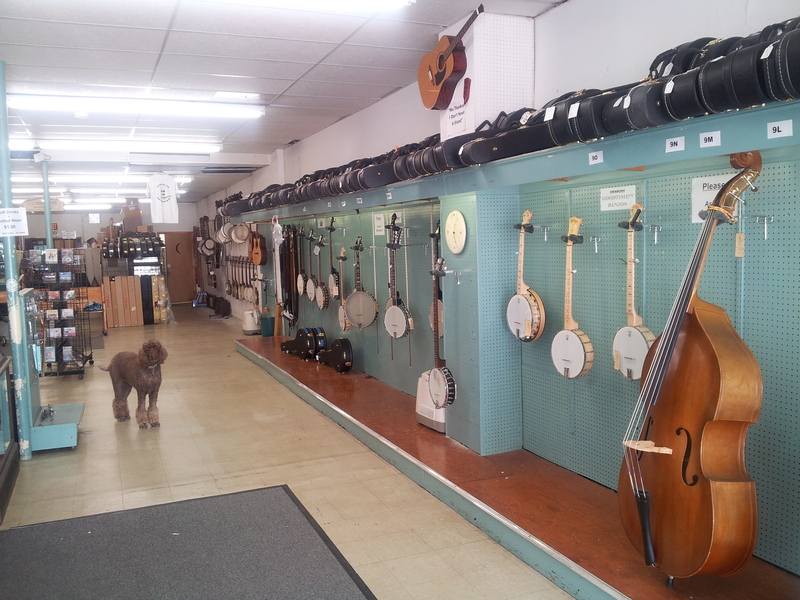 Here, on a Tues. afternoon, I counted 75 banjos on display. That number doesn’t even count the ones stored in the back! Ask yourself seriously: Have you ever seen that many banjos in one place (other than at Wide Open Bluegrass, presented by PNC and Bluegrass Ramble). Since only a small percentage of the world’s population plays the banjo, and here I was in the instrument’s Valhalla, I guess I shouldn’t have been surprised to learn that it’s run by a former entomology professor at Cornell University. Since the age of eight, Donald Zepp knew his calling was entomology, the study of insects. But in 1961, he started plucking on a banjo just in time for college. The resulting love affair created an internal rift. 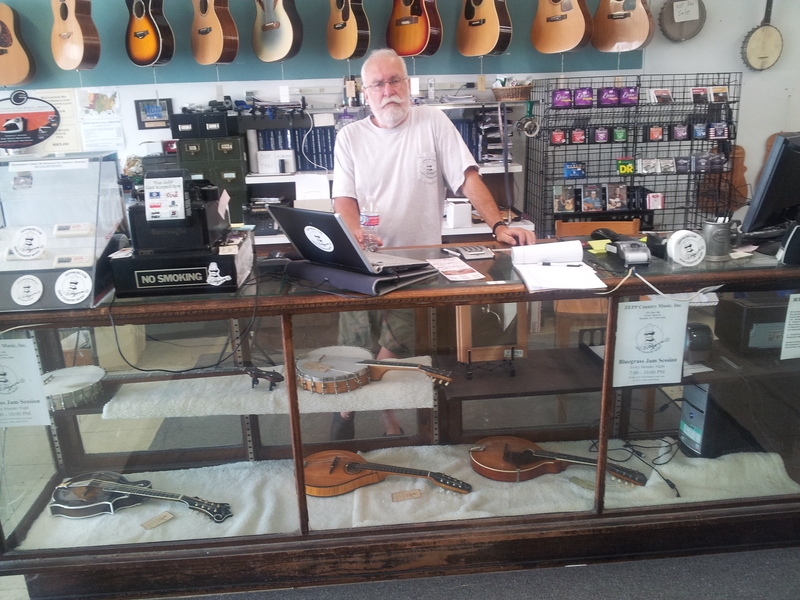 After a miserable year working construction, a local music shop hired him to give guitar and banjo lessons. It was 1964 and the folk boom raged. Zepp learned to balance his passion for music with school work, eventually earning his Ph.D. in entomology from the University of Missouri in 1976. He embarked upon a long career in entomology, teaching at Cornell and, later, marketing insecticides as well as heading research and development on them. When he realized the negative effect his workplace stressors and job hopping had on his family, Zepp retired from the entomology field. 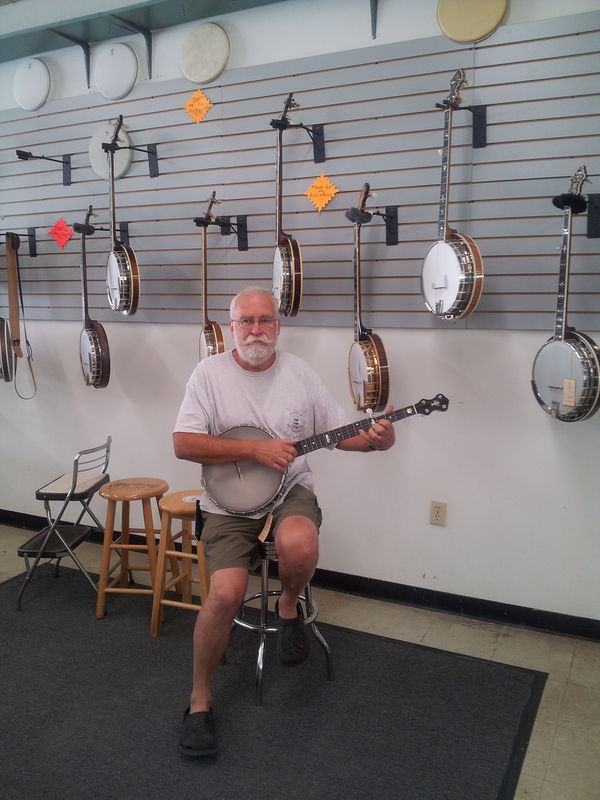 In 1997, he purchased a generic music store in Wendell with the intention of turning it into a banjo shop. In 1998, he opened Zepp Country Music, Inc.
Zepp Country Music, Inc. carries all things acoustic. No pick-ups, no amps, nothing electric. 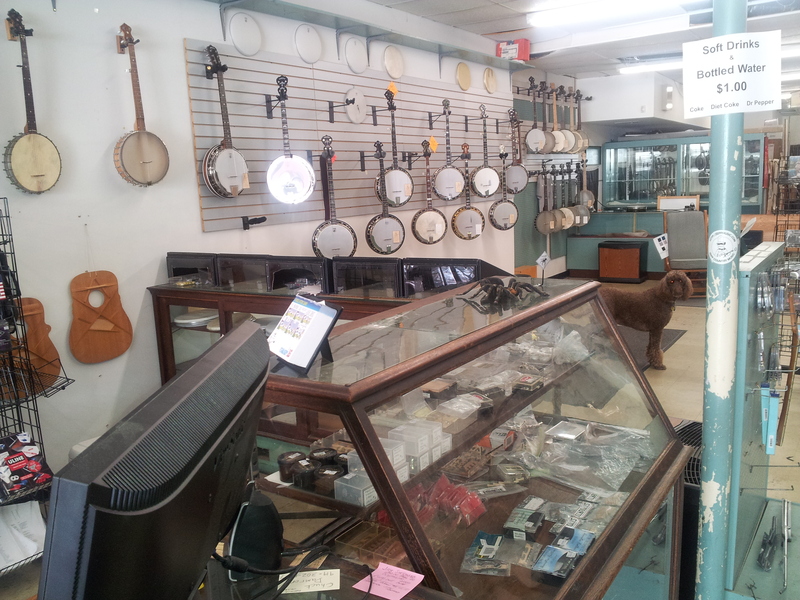 You can have your pick of about any banjo on the market, though the store specializes in open back banjos. 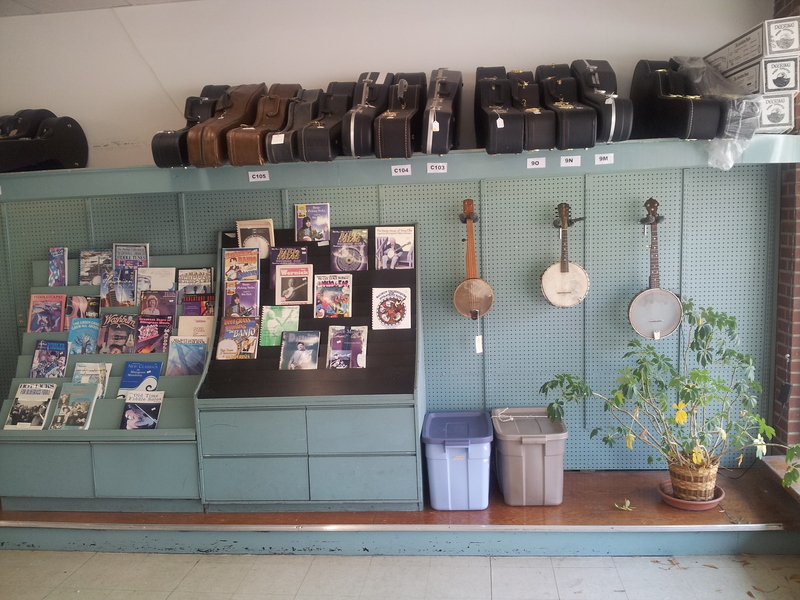 Guitars, mandolins and a cellos dot the shelves. Also, you’ll find strings, tabs, picks, heads, instructional videos and cases. Zepp repairs banjos and does minor guitar work too. On Mon. evenings from 7-10pm, Zepp Country Music, Inc., hosts an open bluegrass jam. Anyone who can play is welcome to sit in. Zepp emphasized that it’s a “bluegrass jam” and not an “old time jam,” though he appreciates each style. A bluegrass jam features a group of musicians who play a backup tune while a soloist carries the melody. The soloist then “passes the break” to the next musician in line, and that musician picks up the melody. In an old time jam, everyone plays together, one great jam that spreads the focus among the group. 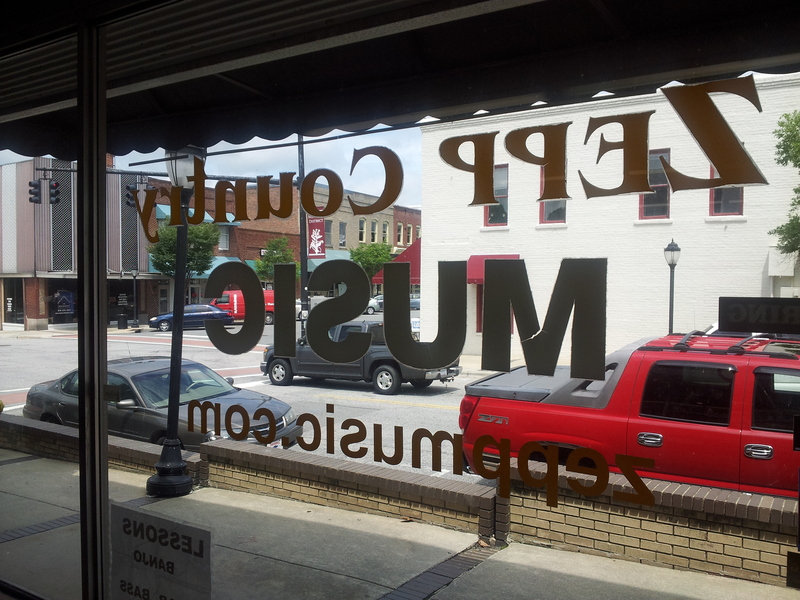 Zepp Country Music, Inc.’s, show room is located at 4 E. 3rd St. in downtown Wendell. Open Mon.-Fri., 11am-6pm, and Sat., 10am-5pm. Banjo lessons are available Tues. and Thurs.